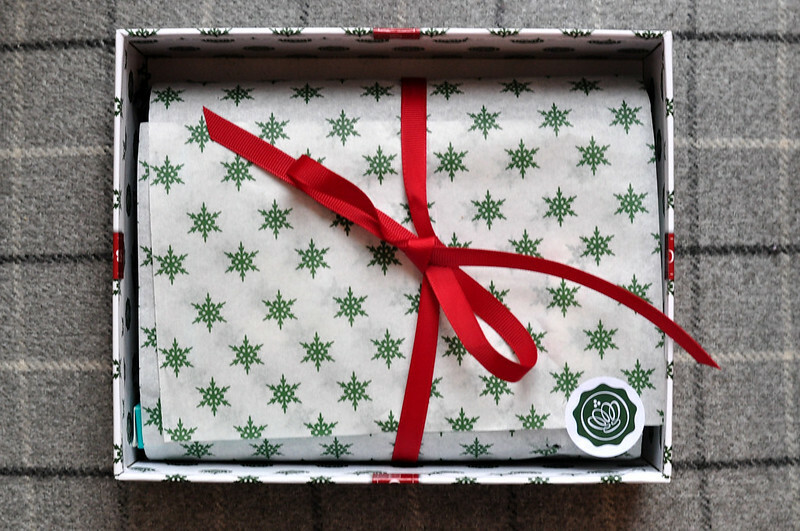 I love the box design but the contacts of this months Glossybox was a little disappointing. I don't see a Christmas/holiday theme at all. Where's the glittery nail polish? Or a chocolate coin? I don't know, just something that's a bit more festive than a spot treatment and a concealer. So Susan Concealer Quad | £20 // I haven't liked any of the So Susan products that have been included in previous beauty boxes and this one isn't any different. I just feel like they're cheaply made products that are actually quite expensive. There isn't a single shade in this quad that I could use and even mixed together they just don't work very well. SkinPep Hydra Boost Pure Hyaluronic Acid Serum | £24.99 // This is probably the one product that I'm excited about. It sounds similar to Indeed Labs Hydraluron so I have high hopes for it! 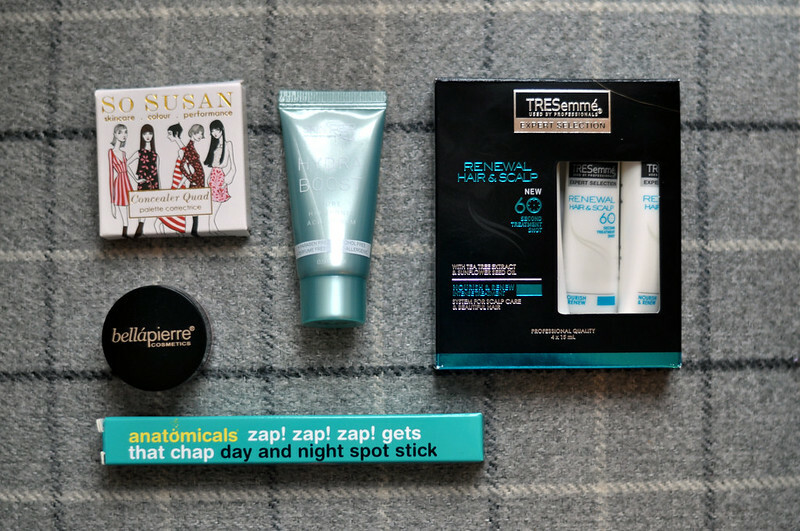 TRESemme Renewal Hair & Scalp Treatment Shot | £5.50 // I've tried the shampoo and conditioner from this range and I really liked them so will be interested to see how the treatment shot works. It says you can apply it from scalp to the ends of your hair which is a bit different for a hair mask, usually I just apply it on the ends of my hair only. I will be reporting back. I also like that you get for four shots so I'll be able to test them out properly. Bellapierre Cheek & Lip Stain | £12.99 // This looks a nice colour that would work both in the winter and summer. Anatomicals Zap! Zap! Zap! 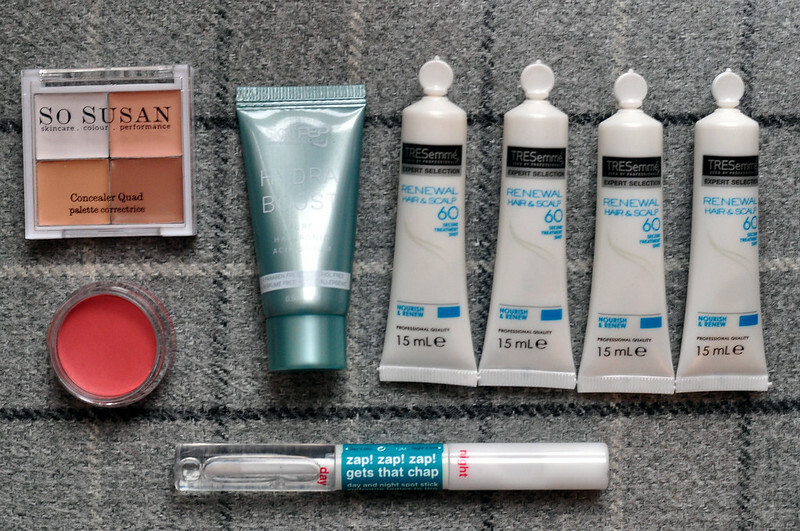 Gets That Chap Spot Stick | £3.79 // Anatomicals is another brand that I haven't really gotten on along well with. I don't really like the product names and some of the products I've tried haven't been that great. This looks quite good though and reminds me of a similar product from Boots I used as a teenager. For these types of spot products I tend to put some on my hand and then use a finger to apply it to keep it hygienic. Hmm, think I might try the Spot Stick from Anatomicals as I have started to get mini-break-outs. (I've got products for that already, but if I can go cheaper and still have a product that works...) Regards.